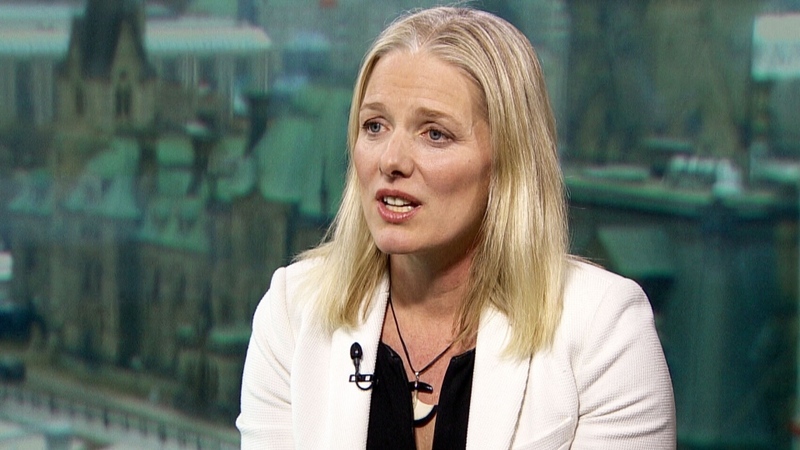 OTTAWA – Federal Environment Minister Catherine McKenna says she has "no time" for political adversaries who don’t believe climate change is real. During an interview with CTV Question Period host Evan Solomon, McKenna smacked down critics of the Liberals' climate change plan and price on carbon. "I have no time for folks who are like, you know, 'We shouldn’t take action,'" she said. "I don’t have time for politicians that play cynical games about climate action." Asked whether she viewed having time for people as part of her role as a federally elected official, she said: "I have time for Canadians who disagree with me, and I have conversations with them all the time…. But I don't have time for politicians that pretend that climate change isn’t real." Saskatchewan is strongly opposed to the federal carbon tax, and both Alberta United Conservative Leader Jason Kenney and Ontario Progressive Conservative Leader Doug Ford have said they’d rail against it if they become premier of their respective provinces. McKenna said she isn't worried about potential legal challenges to the federal government's imposition of a per tonne price on pollution should some provinces not put in place their own system by Jan. 1, 2019. "They'll lose in court," she said, asserting that it is within the federal jurisdiction to implement a carbon pricing system. Environment and Climate Change Minister Catherine McKenna on CTV's Question Period.